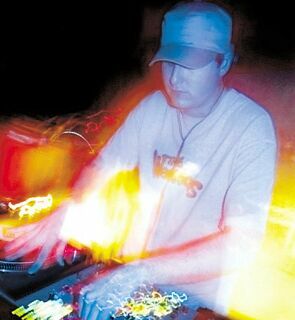 AN obsession for funk, reggae, acid jazz, hip hop and blunted beats was the key that led New Zealand's Timmy Schumacher to evolve as one of breakbeat's biggest stars. The 28-year-old DJ has spent the past 10 years stamping his sound around New Zealand and has been described as New Zealand's answer to champion Aussie DJ Kid Kenobi. He will introduce Novocastrians to his twisted style of breakbeat when he headlines this month's instalment of Nutshell Breaks. The night follows the huge turnout at last month's Nutshell which saw a packed house enjoy the likes of Kid Kenobi and Danny McMillan. Returning on Saturday night are DJ Auxilary and DJ Kato, who will welcome local newcomer JJ to the decks. Adding some MC flavours to the beats will be Brisbane MC Shureshock who has been waxing lyrical since 1992. His skills have earned him slots alongside some of the world's best including Fat Boy Slim, The Freestylers, Freq Nasty, Stanton Warriors, The Crystal Method and Krafty Kuts. Tickets to Nutshell are available from PDMS, Abicus Selections and The Cambridge Hotel for $15, or $20 at the door. Nutshell fans should check out one of the biggest Nutshells to date when it presents a special gig at The Mercury Hotel on July 17. Making his return to Nutshell for the second time will be prolific UK DJ Krafty Kuts and Australian favourite Friendly. TE has five double passes to give away to Saturday's Nutshell Breaks.